Entertaining season is upon us and you know what that means…time to drink champagne and dance on tables! No, but seriously…we are all eagerly awaiting summer and the festive gatherings that come along with it. 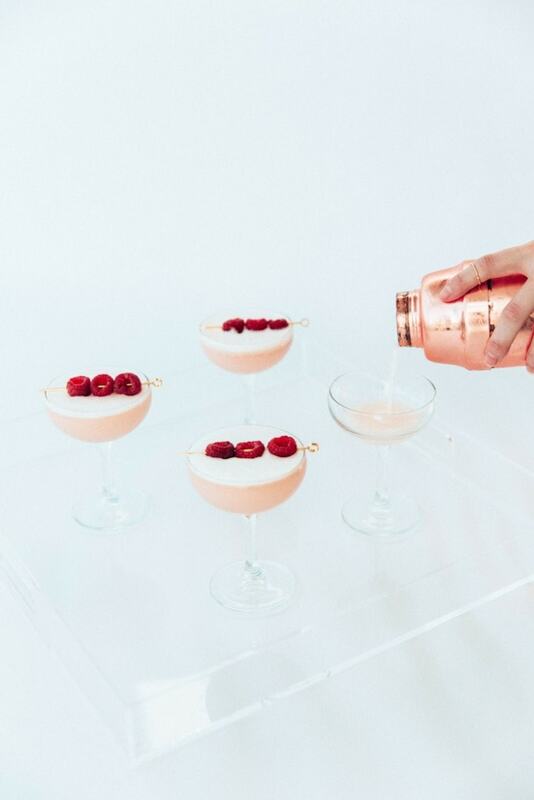 We are so excited to have Ashley Rose Kirschling of Crafts and Cocktails provide us with some fancy mixology tips and tricks, as well as a refreshing new cocktail recipe to try for your next swanky soiree. Happy imbibing! “When learning to make cocktails, it can seem daunting. Infusions, bitters, precise proportions, and a plethora of liquor options can make it absolutely overwhelming! Rather then retreating and opening a bottle of wine, there are a few tricks to make bartending at home more approachable. 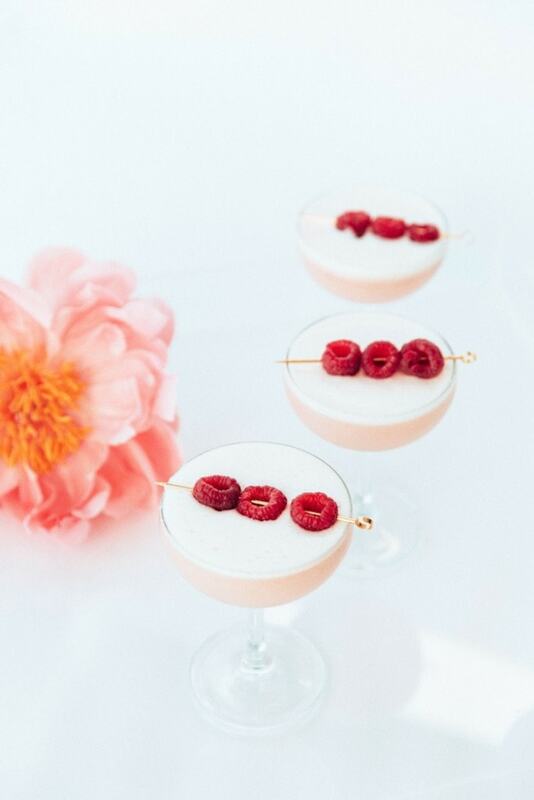 As I was learning to shake drinks, there was (and still is) a great deal of trial and error, but one of the easiest ways I found was to start with the classic cocktails–they are classics for a reason! Just like you can’t go wrong with a good, tailored trench coat, you can’t go wrong with a traditional cocktail. 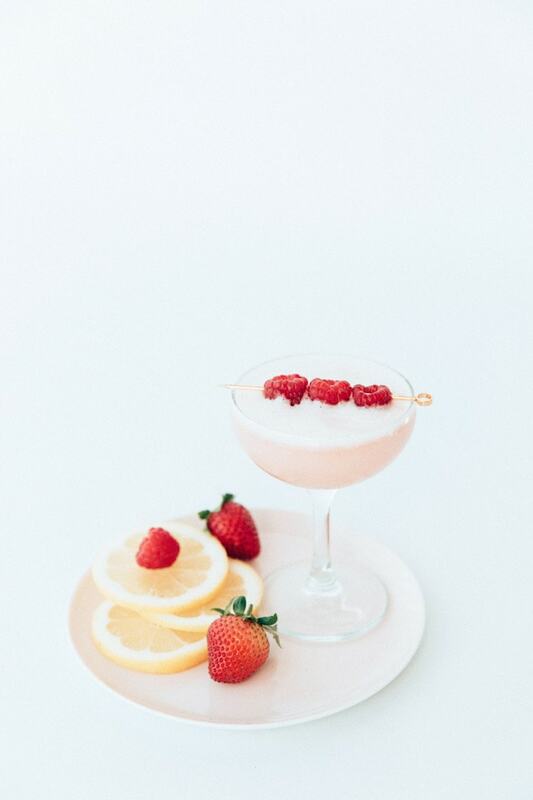 One of my favorites to mix up when I am entertaining friends, or for a fun girl’s night, is a Clover Club. This fruity, sweet, yet complex drink is so good and soooo easy! 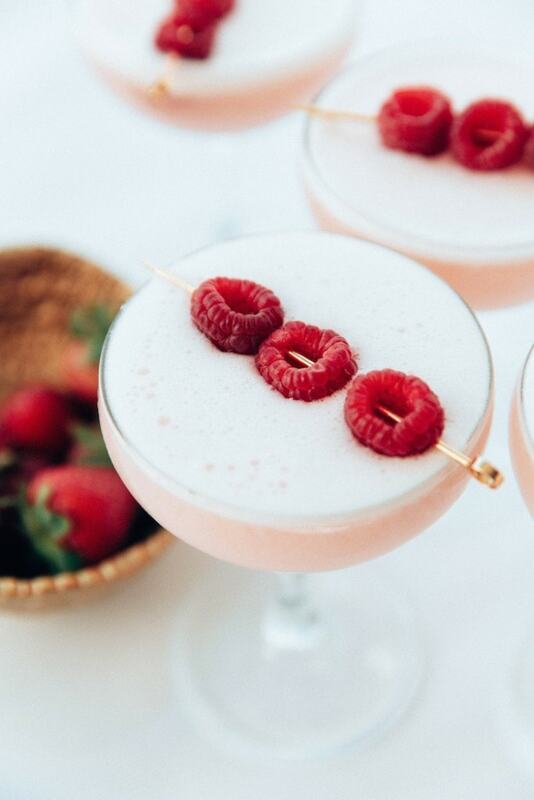 Gin, raspberry syrup, lemon, and egg white (yes, egg white!) are perfectly balanced in this lip-smacking cocktail. The pale, pink color makes it a pretty libation at a dinner party for the ladies, but the juniper notes from the gin makes it totally sip-able for the men. I like to serve them in my favorite glassware: coupes. Don’t they just make any drink seem fancy?! 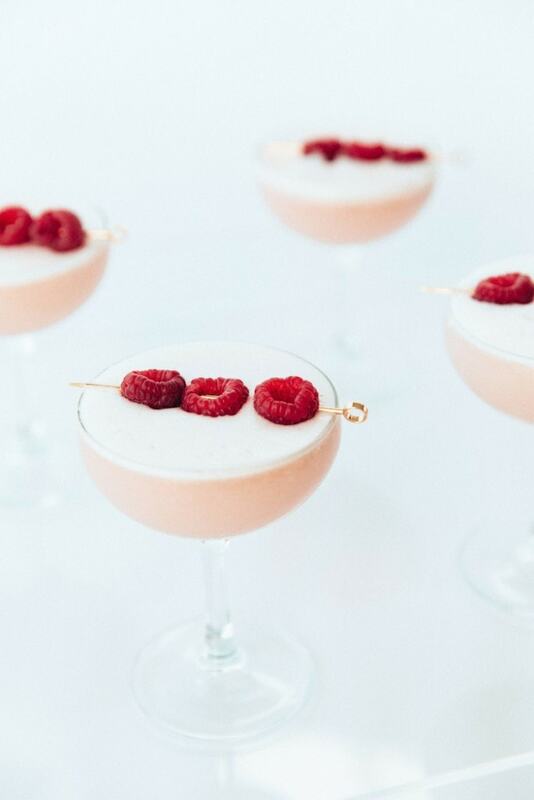 The Clover Club requires one technique that, once mastered, will make you seem like a pro: the dry shake. This is used when egg whites are called for (don’t worry, the alcohol “cooks” the egg so it’s safe to drink). All it requires is adding ingredients into a shaker without ice first, shaking for a minute, then adding in ice and shaking for another minute. This allows the egg white to get extra frothy and creamy giving it a nice, foamy layer at the top – the foam is the best part, after all! Combine all ingredients in cocktail shaker without ice. Dry shake for a minute. Add in ice and shake for another minute. Strain into a glass and enjoy. Add sugar, water, and berries to a saucepan on medium heat. Macerate the berries to release their juices. Strain through a fine mesh strainer to remove the pulp and seeds. Refrigerate to cool before using. Who’s stirring this up at their next girls’ night?